The Salesforce Spring ’18 release is coming soon. So it’s time to do a recap of my favorite features coming up in the new release. 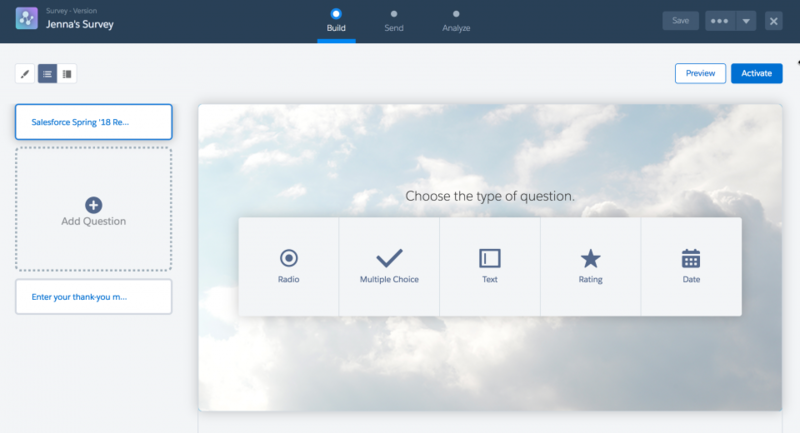 This release has some exciting enhancements to the Lightning Platform and innovative breakthroughs in artificial intelligence, including custom themes, personalized navigation, and opportunity scoring. Change an app’s navigation bar to supercharge your productivity and suit the unique way you work. This new Lightning Experience feature allows you to reorder items, and rename or remove items that you’ve added. Similar to custom tab sets in Classic better, the navigation bar can contain more than just object-level items. You can add granular items, like a dashboard, list, or record. Create beautiful, easy-to-use forms for collecting feedback and data from your users or customers. All survey data is stored in your org, so you can easily create reports, dashboards and share insights within your organization. Surveys are available by default if you have Health Cloud and is available for an additional fee if you aren’t a Health Cloud user. 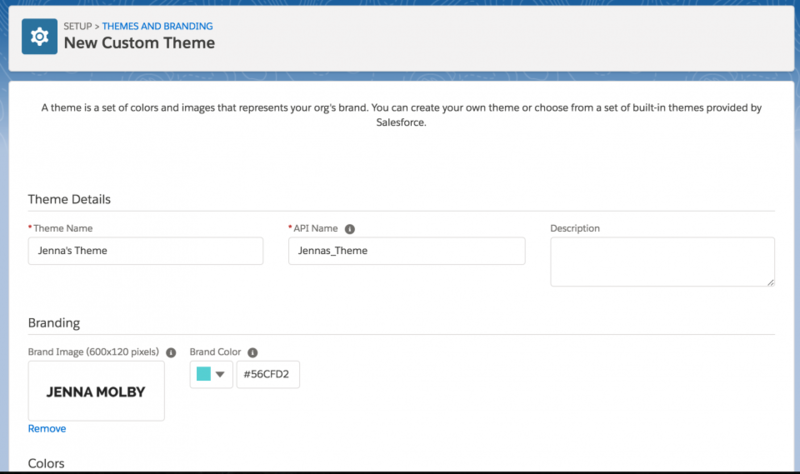 Create up to 300 custom themes or clone the built-in themes provided by Salesforce with just a few clicks. Now you can prioritize your way to more business. Einstein Opportunity Scoring will generate opportunity scores based on the record details, history and related activities of the opportunity and related account. Information about the opportunity’s owner, such as yearly win rates, is also used to calculate the score. Create duplicate jobs with standard or custom matching rules to scan your Salesforce business or person accounts, contacts or leads for duplicates. Job results can be shared with others and information about the duplicate jobs are logged, so you can track your progress in reducing the number of duplicate records in your Salesforce org. Data privacy records, based on the Individual object, let you store certain data privacy preferences for your customers. These records can help you honor and respect your customers’ wishes when they request only specific forms of contact from your company. Some laws and regulations, such as the General Data Protection Regulation (GDPR), can require you to honor your customers’ wishes. Top Results lists the most relevant results for your most frequently used objects. The improved ordering of objects means less scrolling and clicking around to the object you want. What are your favourite features in the Spring ’18 release?